A little less conversation a little more Elvis please! For one night only Elvis is coming to town, or rather one of his most revered impersonators Greg Miller, who has even performed the show in Las Vegas. 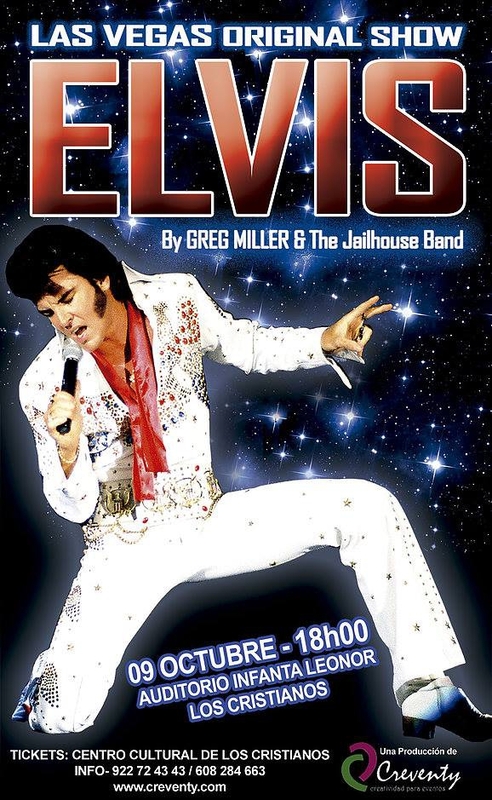 The 'King of rock and roll' will be in the building on Sunday, 9th October at 6pm in the Auditorio Infanta Leonor in Los Cristianos and tickets cost €20 - available now from the auditorium cafe and the Los Cristianos Cultural Centre.